This ad for Euromillions shows the reality of the lottery to make anyone - even your dear old gran - instantly rich. The answers were realistic, but not very encouraging. Most people replied that it takes 5-10 years most times to build a sustainable business, maybe longer. And you have to work at it every day, sometimes 16-hour days in the beginning. 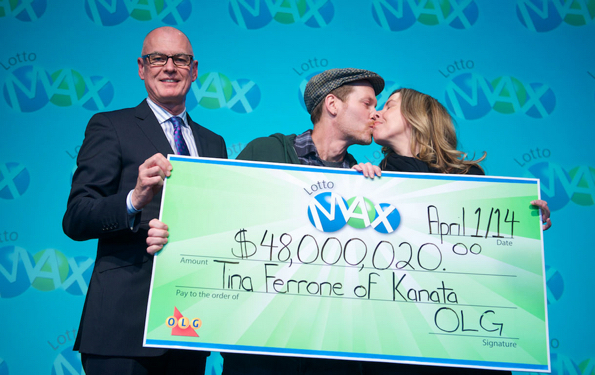 It can happen quick: the first time Tina Ferrone bought a Canada Lotto Max ticket she won $48 million. The formula never changes. Sometime you see an overnight success, as it often happens in an internet business. But when you look behind the one-hour-wonder, you usually see someone who has worked for years to get there. But success in winning the lottery requires only dogged persistence and a few dollars a week. It's got to be the best way to make an easy fortune without effort. All you need to do is play and wait. Beginner's luck? 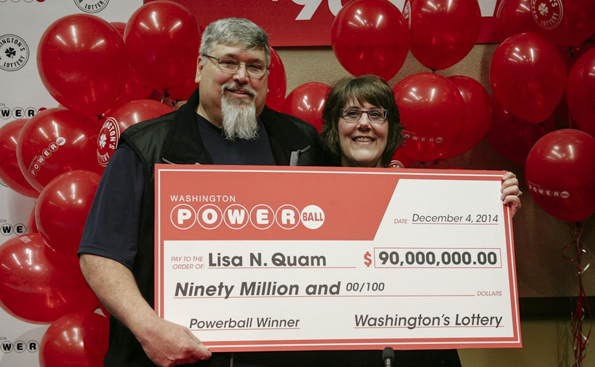 Lisa Quam won $90 million in the Powerball when she played it for the first time. While no-one can predict your actual winning time, there are many players like Tina Ferrone and Lisa Quam above who have won large prizes quickly. Other players may require some patience to get the prize. So until your number comes up - and it will - you need persistence to keep you going. 1. Automate the humdrum. When you make your basic living easier, your life has room for more activity somewhere else. A robot vacuming your floors will give you more energy left to get down to the lottery shop before the next game. Get machines or others to do your housekeeping, make your bill paying automatic, get groceries delivered... there are many ways to make your life easier. 2. Change your posture. It's been proven scientifically that just by clenching your fists, standing straight and tensing your muscles, you can improve your willpower. You only need do it for a few minutes, but that's sometimes all you need it for. Use that increased power to finish a task or motivate yourself to go to the lotto store. 3. Have a Plan B. Often it's easy to give up when the odds seems against you. Maybe the snow is stopping you from buying your tickets. Maybe you had a bad result last week and don't feel like trying again. When this happens, use Tip #2. Use another way to solve the problem. The first lottery ticket Erika Greene ever bought won her this $59 million in the now closed Georgia Big Game. 4. Split up your costs. If you feel that you're spending too much in one game, it could just be psychological. Why not trick your mind... split your ticket money in half, and buy one half early in the week, and the other half on the last day of the same game. It will seem less even though you're spending the same amount. But don't go cheap - my System requires some money in order to make it work for you. 5. Blackmail yourself. Give a friend $50 and tell them they can keep it if you don't follow through on buying your tickets each week. And yes, own up if you didn't! 6. Set ambitious goals. Aim high in whatever you want. Remember, you are planning to win many hundreds of millions of dollars - there is very little you won't be able to buy. Just aim as high as you like and remember that businesses with the same turnover employ hundreds of workers and have sophisticated 10-year plans. With the lottery there's just you and 3 minutes at the store with a handful of tickets each week. Work to increase your luck by playing more. It was the first time 26-year-old Christy Stanczak had ever played, and won $1 million! 7. Write down your goals. The act of committing your goals and dreams to paper makes you more likely to do what you need to get them. That's been proven by myself and thousands of others who dream with a pen. Write it down in the mornings, spend some minutes imagining the result and you will stay motivated for the rest of the day. NOW WATCH: $31.6M winner tells what he’ll do next. When Harry Black, 66, bought his lottery ticket for Canada's Lotto 649, little did he know that no one has ever won half of the lottery winnings with two identical tickets. And now after playing the same numbers for 53 years, he did. The Surrey resident always purchases two lottery tickets with the exact same numbers. On the April 13th it finally worked, and he won half of a record-breaking $63 million jackpot.